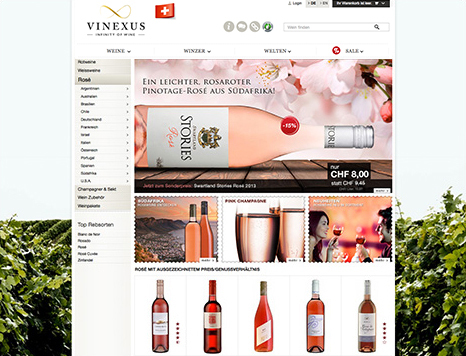 We are also present in Switzerland with a Vinexus online shop, run by Vinexus AG. Here, all our customers from Switzerland can easily find our large wine portfolio just a few clicks away. Of course, the delivery to Switzerland is quick and uncomplicated as usual, thanks to our logistics partners. Have a great wine shopping experience and enjoy your wines with Vinexus at www.vinexus.ch!